Under The FCPA, Where Are Victim’s Rights? As readers of the FCPA Blog know, the past few years have seen a dramatic rise in FCPA prosecutions. In 2010 alone, companies settling FCPA-related charges paid $1.8 billion in monetary penalties, nearly tripling the $641 million paid in 2009. Few FCPA compliance challenges are as vexing as the provision of everyday business courtesies, like gifts, meals, drinks, travel, and entertainment. Because the FCPA has no de minimis threshold, even minor expenditures could implicate the statute’s anti-bribery and accounting provisions. Although they are a necessary and common facet of international business, such benefits have led to enforcement actions against companies like Lucent Technologies, Avery Dennison, and UTStarcom. Multinational companies that do business in China confront this challenge daily. The Chinese business environment particularly amplifies this risk for two reasons. First, the Chinese government owns a huge percentage of its domestic economy. It is thought to own more than 70% of the country’s productive wealth, and it is the majority shareholder of 31% of publicly listed Chinese companies. This has profound implications for FCPA compliance due to how the law is currently enforced: In their prosecution of companies like Schnitzer Steel, the U.S. regulators have taken an expansive view of the meaning of “foreign official.” The statute defines “foreign official” as an “any officer or employee of a foreign government or any department, agency, or instrumentality thereof.” According to the U.S. authorities, this includes for-profit businesses, like steel mills, that are only partially owned or controlled by a foreign government. Therefore, China’s broad ownership of its publicly listed companies qualifies a huge percent of Chinese businesspeople as “foreign officials” according to U.S. regulators. When you discuss a prospective deal over dinner or a drink with a Chinese business executive, you might be giving a thing of value to a foreign official! Second, Chinese business culture typically values the provision of things of value to build relationships. This development of business connections, termed guanxi, is especially important for multinational companies trying to develop business in China and make inroads into that country’s booming economy. Further, the failure to reciprocate courtesies that have been provided by your business counterparties in the past may be seen as rude and could hamper business. The risk of offending on one hand may be balanced against the risk of violating the FCPA on the other. Over the years, we have advised numerous multinational companies on how to handle this conundrum. 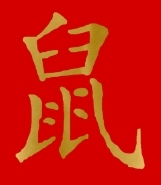 This month we published an article in the Virginia Law & Business Review that gathers some of our accumulated wisdom on the issue, both by performing a legal analysis of the FCPA’s anti-bribery provisions to determine why certain business courtesies are permissible while others are not and by providing some internal compliance suggestions to manage this risk with regard to a company’s Chinese operations. 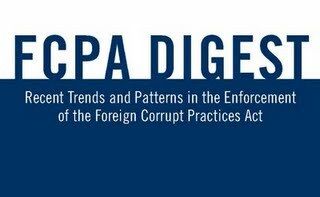 We hope readers of the FCPA Blog find it helpful. It can be downloaded here. Michael Diamant is a member of the white collar defense and investigations practice group in the Washington, D.C. office of Gibson, Dunn & Crutcher. His practice focuses on white collar criminal defense, internal investigations, and corporate compliance. He has conducted internal investigations in eleven countries on four continents regarding possible FCPA violations and assisted clients in complying with government subpoenas and negotiating settlements with enforcement agencies. What a difference a year or so makes. In December 2007, Lucent Technologies Inc. -- which became part of Alcatel SA in November 2006 -- settled Foreign Corrupt Practices Act charges. It had illegally paid millions of dollars for Chinese officials to take more than 300 trips to the U.S., Europe and elsewhere. They were supposed to be business missions but ended up being junkets -- "sightseeing, entertainment and leisure." Lucent paid $2.5 million to resolve the offenses. 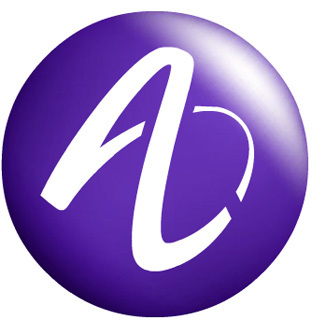 But last month, Alcatel-Lucent signed agreements in Washington, D.C. worth $1.7 billion with China Mobile and China Telecom. The company said the agreements are the first of many that will help Chinese companies roll out 3G technology. Iraq’s main anticorruption watchdog has no shortage of cases, as its new report makes clear: embezzlement of $80 million; tampering with government tea imports; the theft of 50 Italian-made Beretta pistols; procuring forged Ph.D.’s; and scores of other crimes. The real problem is the difficulty of prosecuting people for corruption, which is so widespread that it has become one of the main obstacles to stability and progress in Iraq, according to Iraqi and American officials. Among the barriers, the officials say, are laws that give ministers the right to pardon offenders, as well as partisan and sectarian interference, pressure, infighting, vendettas, blackmail and death threats. The expense-account scandal in the British Parliament sure is . . . grubby. Petty corruption always looks that way. And that goes for FCPA-compliant "facilitating payments" too. Our friends at Trace International sent us "Toxic Transactions: Bribery, Extortion and the High Price of Bad Business," their hour-long anti-bribery training video. The interviews with current and former prosecutors and others make one thing clear -- those who pay bribes are likely to be caught and punished, with jail a real possibility. So compliance is the only option that makes sense. Great message. Congratulations to Alexandra Wrage and Trace. Clips from the video can be seen here. The FCPA has been around for more than 30 years now and, as Trace's video shows, people are getting better at talking about it. That includes those from government, private practice and corporations. So the subject seems a lot less mysterious than it used to and more accessible. That's good news. It's also a gentle plug for the books at the right -- Bribery Abroad and the newly released Bribery Everywhere (both are in stock and can be ordered now). Anyway, we're glad people are more comfortable these days talking about the FCPA in a way that's less formal and not so legalistic. As China battles indigenous corruption, it's also spotlighting foreign and especially U.S. companies that are importing illegal practices into the PRC. A story in the Chinese press in December 2007 said, "According to a report by local consulting company Anbound, of the 500,000 bribery cases investigated in China over the last 10 years, 64 percent involved foreign companies." It mentioned allegations involving Lucent Technologies Inc., IBM, Cisco and NCR. Four of Lucent's employees in China, the story reported, were apparently fired in 2004 for violating the Foreign Corrupt Practices Act. The story quotes a Beijinger as saying: "I cannot understand after many foreign companies complain about corruption and bribery in China, then why are they doing similar things?" Official statistics about corruption from the PRC can be dodgy. But any discussion about foreign companies involved or suspected of being involved in corrupt payments, and the naming of some U.S.-based headliners, may mark an important new strategy. Presumably, China will use the foreign companies' names to defend itself against charges from the U.S. and OECD that its anti-corruption enforcement is lax. Most of our corruption, China will argue, actually came from you first. We're the victim here. One result is that foreign companies -- particularly those subject to the FCPA -- will be very attractive targets during the PRC's Olympic-year anti-corruption campaign. That means it's a good time to put China-related compliance programs on high alert. Meanwhile, Chinese President Hu Jintao told leaders of the Communist Party that the country's anti-corruption drive remains a top priority. President Hu -- who also serves as general secretary of the Communist Party of China Central Committee -- spoke at the organization's important three-day plenary session in mid-January. "Anti-corruption measures and the upholding of integrity should run thoroughly through the nation's economic, political and cultural makeup and the Party's ideological, organizational, work style and institutional building," he said. In typical PRC practice, President Hu's speech became a "guideline document to enhance the work of anti-corruption and upholding of integrity," the communique said. By June 2007, some 24,879 cases of official corruption had been investigated in the PRC, the communique said. The cases involved bribes totaling more than 6.156 billion yuan (US$860 million). Government employees were involved in 5,523 bribery cases, accounting for 22.2 percent of those caught, the communique said. For example, He Minxu, former vice-governor of eastern Anhui Province, was sentenced to death with a two-year reprieve for taking bribes of 8.41 million yuan (US$1.12 million) from 27 organizations and individuals, the latest senior official to be brought down in a corruption scandal. Another case cited was that of Zheng Xiaoyu, former director of China's State Food and Drug Administration. He was executed in July 2007 and was the fourth senior official to be sentenced to death since 2000. Zheng was found guilty of taking 6.49 million yuan (US$910,000) in bribes. When he was sentenced, the Supreme People's Court said his dereliction of duty undermined China's drug monitoring and supervision, endangered public life and health and had a very negative social impact. Speculation in China and elsewhere is that some of the bribes Zheng took came from foreign companies. View articles from the December 12, 2007 edition of China Daily Here and January 17, 2008 edition Here.